A week from now, the fans in this city of Pokémon GO, the augmented reality (AR) mobile game, propose to converge at Churchgate, at the southern end, for a ‘Pokewalk’. 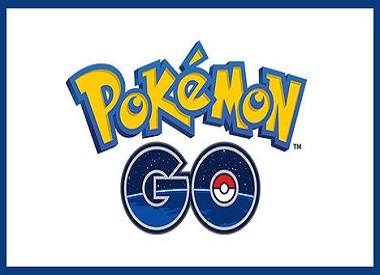 The idea, according to die-hard fans, including children and college-going youth, is to "together" hunt down Pokémons, basically virtual creatures hiding in public places. These creatures then help the users continue with the game. As the craze for Pokémon GO grows worldwide — it is already the largest mobile game in the US within 12 days of launch — it has opened a plethora of branding options. The biggest, explains Anjali Hegde, chief executive officer, Ansible Mobile, the mobile marketing arm of IPG Mediabrands, is for retailers. "Bars, pubs and pizza joints in the US that fall within the digital map of the game are giving special offers and discounts for Pokémon GO fans to drive footfalls. Many of them are seeing sales improve, as a result," she says. Indian retailers, especially the global quick-service restaurants and cafe chains, are watching the space closely. Ravi Jaipuria, chairman of Gurgaon-headquartered RJ Corp — whose group company, Devyani International, is a franchisee of international brands such as Pizza Hut, KFC and Costa Coffee — says interest among Indian retailers is high. "The game hasn't been officially launched in India, so many are in wait-and- watch mode. But, if it can help drive footfalls, retailers will come on board," he says. Riyaaz Amlani, restaurateur and managing director of Mumbai-based Impresario Entertainment & Hospitality, says he'd be keen to know if his joints — Smoke House Deli, Mocha, Salt Water Café, etc — fall within the digital map of the game. "I think most retailers and restaurateurs, especially in the big Indian cities where the game has already become a rage without even officially launching, will be ascertaining how they can tap into this phenomenon in some way. I am already doing it," he says. Jasper Reid, director at Sierra Nevada Restaurants, which brought the US burger chain Wendy's and celebrity chef Jamie Oliver's restaurant brand, Jamie's Pizzeria, to this country, says the company only last week ran ads on Facebook, inviting Pokémon GO fans to sample its offering at a new outlet it was opening in Mumbai. "I expect more of these marketing and promotion activities by retailers," Reid says over telephone from Delhi. "The fact that people are stepping out to find Pokémons opens branding options not only for those retailers who fall within the digital map of the game but also for those in the vicinity. So, if a certain spot like, say, a school, temple or park is a PokeStop, a place where you can find Pokémons, food & beverge joints in the vicinity are likely to benefit if they are able to market themselves well to this audience. We tried doing that last week," he says. Experts, however, caution of the health risks attached due to excessive usage, including the danger of road accidents and fans becoming addicted to the game. "At this stage, the engagement level is high," says Devangshu Dutta, chief executive, Third Eyesight, adding, "This is typical of games that become an overnight sensation. Over time though, this will plateau, giving stakeholders a chance to objectively evaluate their prospects." What most don't deny, though, is that Pokémon GO has driven significant interest among Indian advertisers for AR, a technology that has been used in a limited way in the country so far. "I find clients now more open to the idea of augmented reality and what it can do," says Ashish Bhasin, ‎chairman & chief executive officer, South Asia, Dentsu Aegis Network. He further added, "While it remains an expensive exercise, AR and robotics will get cheaper with the evolution of technology, challenging conventional forms of communication. Markets such as Japan, the US and UK are already seeing usage of AR in out-of-home media, with good results."